Two guests can stay in a standard room type. 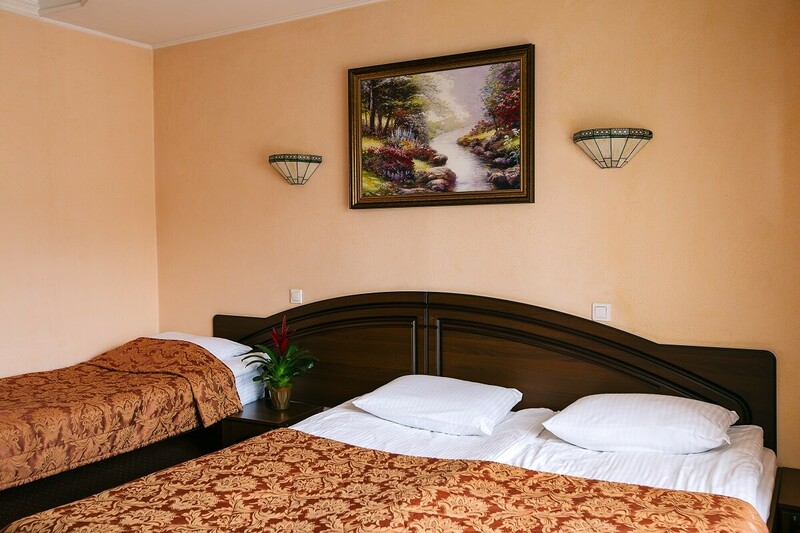 At the same time, you have the opportunity to choose between one double bed (180×200 cm) or two single separate beds (90х200 см each of them). 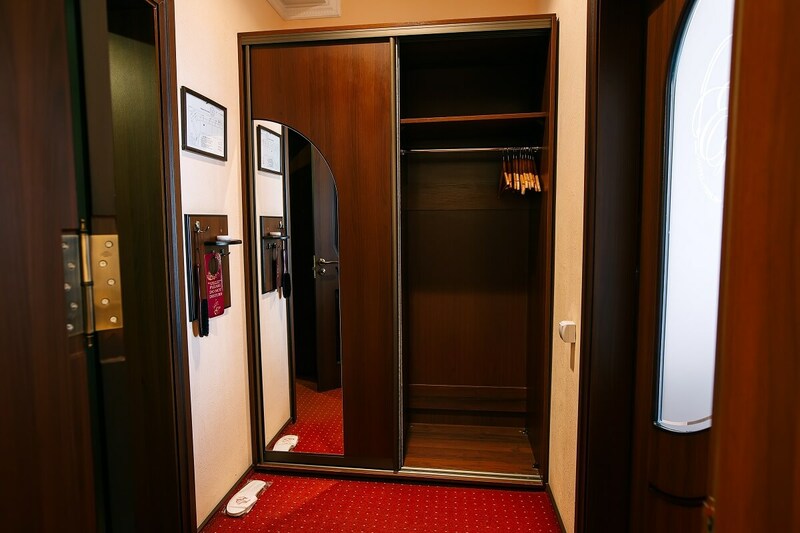 In the standard there is a wardrobe, a work desk, an LCD TV with satellite channels, a telephone. 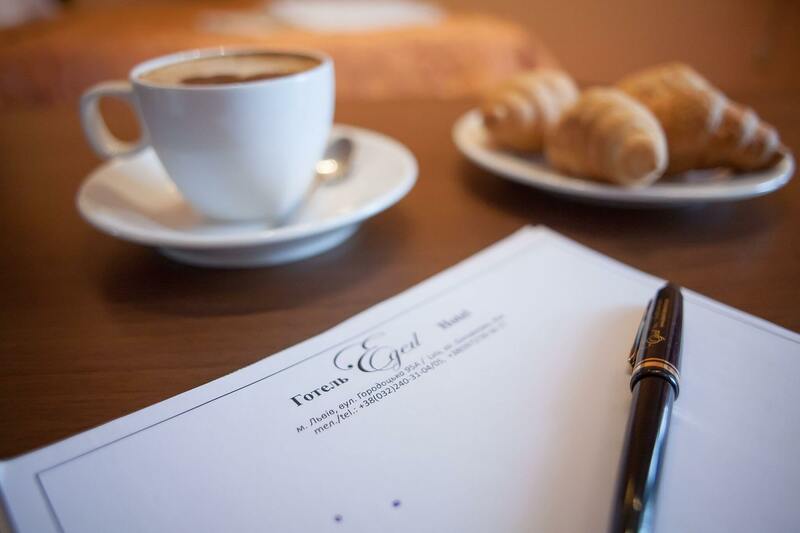 In order to facilitate a communication of guests, calls within the city is free of charge, and there is internet access (wi-fi). You will be able to store valuable things in the room without having to worry about safety, as there is a safe in the room. 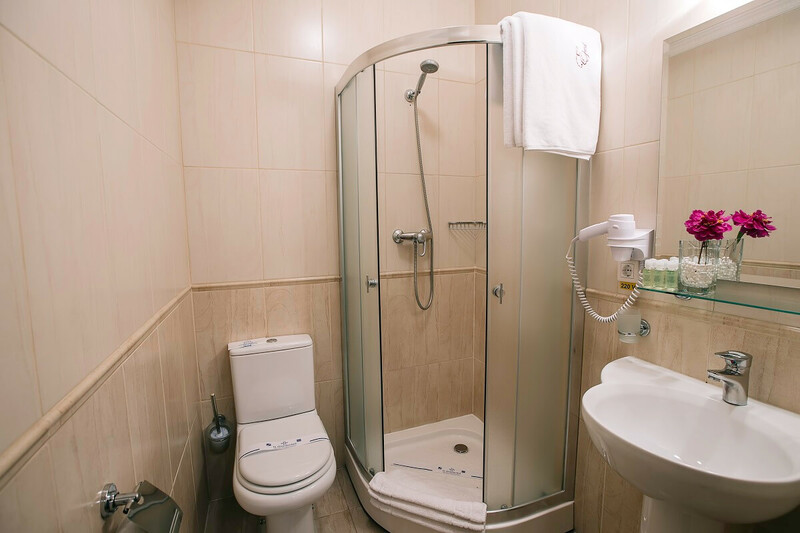 The room also has a comfortable bathroom with shower, hairdryer, mini-cosmetics sets and towels. Room is non-smoking. We also offer free services and an additional charge, so you can order a set of hygiene products: a toothbrush, one-use shaving razor, a comb and other facilities. For guests with their own car, we offer parking at the hotel, which is around the clock. A breakfast buffet, which is cooked every morning by our cooks, is included in the room rate. Room price DOES NOT include a tourist fee: 1% of the room rate. To find out if a room is available on the desired date, fill out the booking form by specifying the date and number of guests. Have a nice rest in “Edem”! For each birthday, we offer you a 10% discount when booking Edem hotel for 3 days from Birthday. 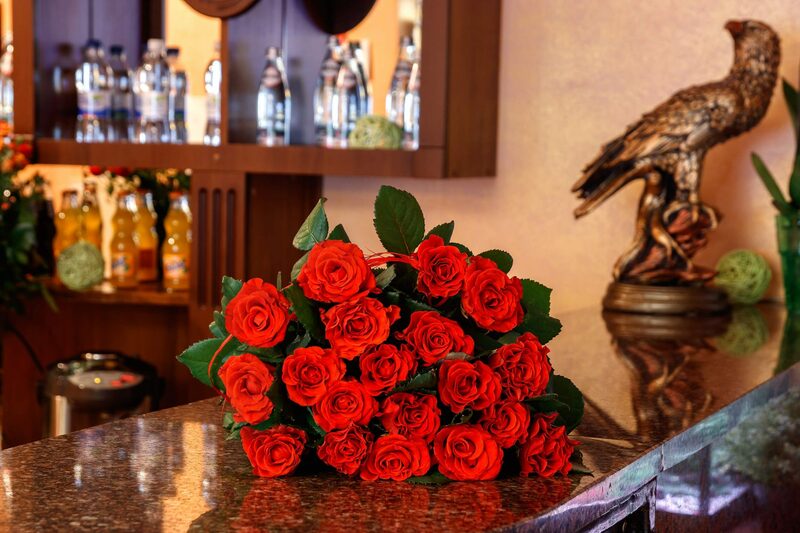 Every visitor staying at Edem Hotel on his or her Birthday will receive, with the most sincere wishes from us:. a one-time discount of 10% of the standard price for accommodation in any of the hotel’s rooms … Continue reading Birthday discounts!